Today I'd like to introduce you to Jewellery Designer Kate Holden of Oh Someday.... Kate creates beautifully hand crafted pieces that carry a personal message from her shed shaped workshop in East Sussex. Her collections offer something for everyone, from star constellation necklaces to rock the night in, to friendship bracelets that carry a real message. 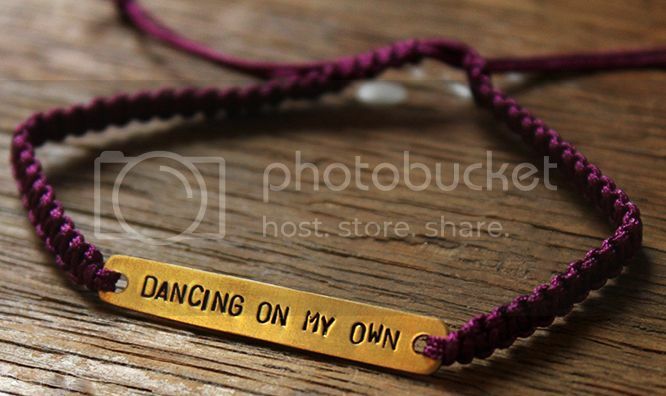 She's also able to create really stylish and pretty medical bracelets for those who need their medical conditions known in case of an emergency. What I love the most about Kate's work is how much thought goes into her jewellery. All of the stones used are responsibly sourced and every piece is carefully created using hand tools. Kate's jewellery is also fully customizable, which means you can have a truly individual and personal piece of jewellery. At what point did you discover a passion for jewellery design? I started making pieces of jewellery for myself when I was in school but didn’t truly discover a passion for jewellery design until around 3 years ago when I signed up for evening classes to learn silversmithing. Learning about different types of metals and gemstones and how to work with them was really interesting and made me realise the design possibilities with jewellery are endless. Have you ever faced any challenges in setting up your own jewellery business? I think one of my main challenges to begin with was finding enough space to work in. Saving up and getting a shed, which I use as a workshop, really helped. Having a dedicated space just for making is really important I think, especially when you’re working from home where there are so many distractions. Now my main challenges are the long winters (as it gets pretty cold out there) and the many spiders that have taken up residence in the shed with me! What is your process of creating a piece from start to finish? I’m a bit of a daydreamer so most of my pieces are thought up when I should be in the middle of doing something else, or late at night when I’m trying to get to sleep. I’ll usually make a rough sketch of any design and then just get straight to finding the right materials and then making it. All of my brass pieces are sawn out by hand from sheets of brass so each one is slightly different. I like to make everything by hand to give each piece a more personal touch and some of the tools I use have been handed down to me from my Grandad. Once a piece has been finished I usually make one for myself and then wear it for a couple of days to make sure I’m happy with the finished product and that it works. Then it will go on Etsy, or to one of my stockists like Green Brick (which can be found on Queens Road in Brighton) who are usually the first to get any new Oh Someday pieces. What's your most memorable custom piece of jewellery you've been commissioned to make? One of my favourite commissions so far has been to a customer who was coincidentally from Brighton in the USA, she wanted two necklaces with the Seven Sisters Constellation on them to give to her sisters. This particular constellation was chosen not only because of the name but because it can be seen from anywhere in the world, they were all about to go travelling together and she wanted a gift to commemorate the adventure. 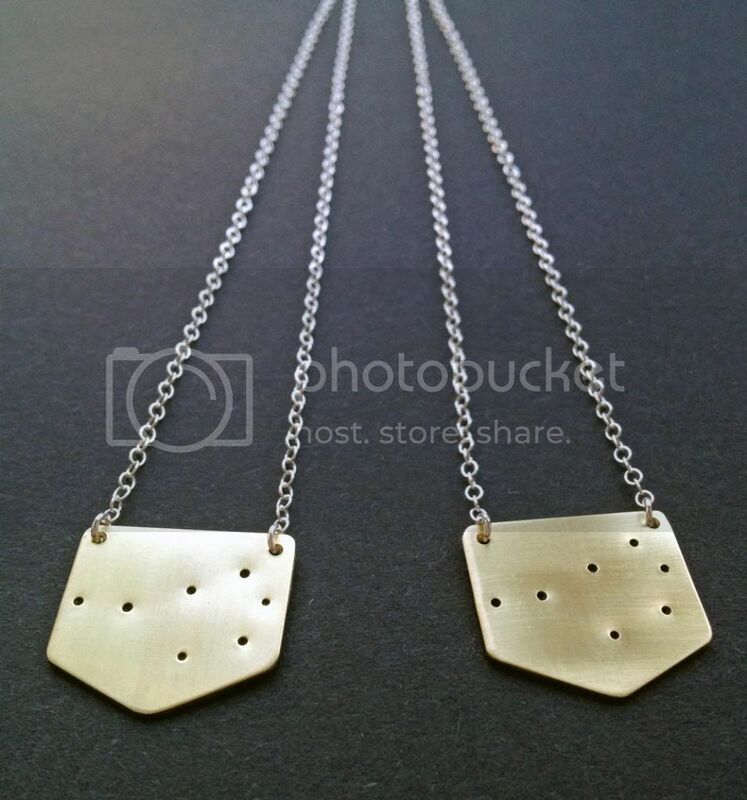 I really love your Luna Necklaces and how they're responsibly sourced, what inspired you to create these pieces? 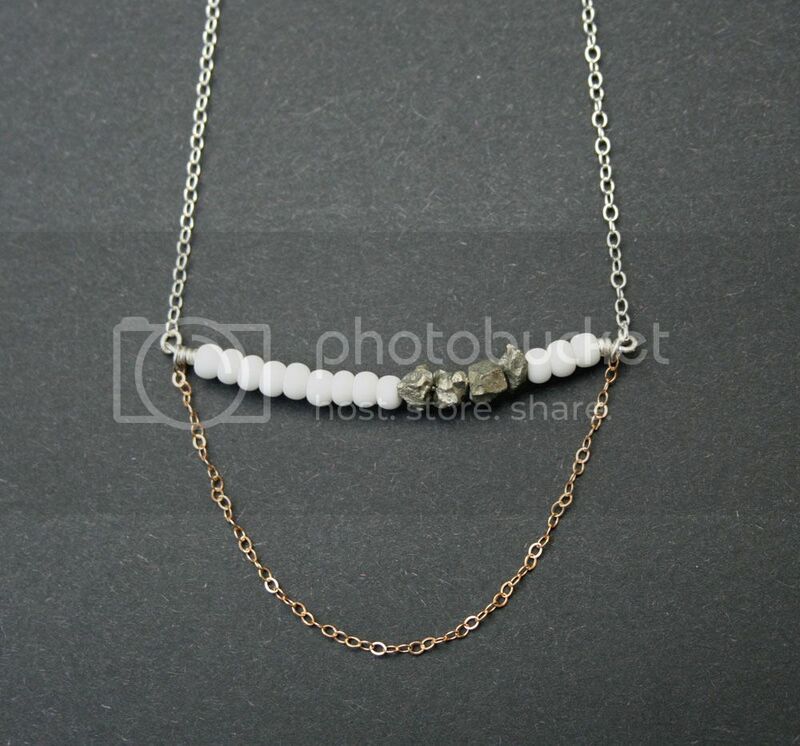 The idea behind the Luna Necklaces was the smooth ceramic beads and delicate chain contrasting against the rough pyrite chips, which make me think of moon rocks (hence the name Luna). 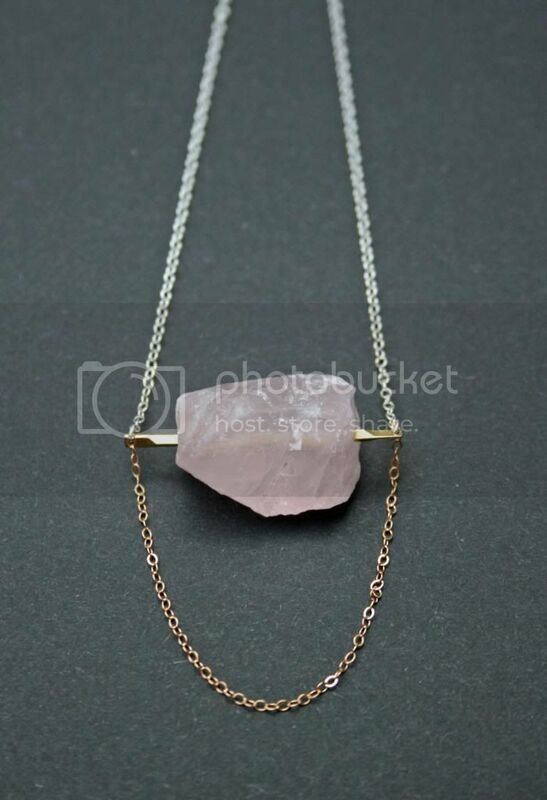 It’s meant to be quite a delicate and feminine necklace with a bit of an edge. If you could be commissioned to design a piece for any celebrity, who would it be and what would you design? I’m a big fan of Laura Marling and often end up listening to her music when I’m making jewellery so I’d love to make something for her. Or maybe someone like Bill Murray as then I’d have a Bill Murray story, that’d be pretty amazing. I’d make them whatever they wanted. 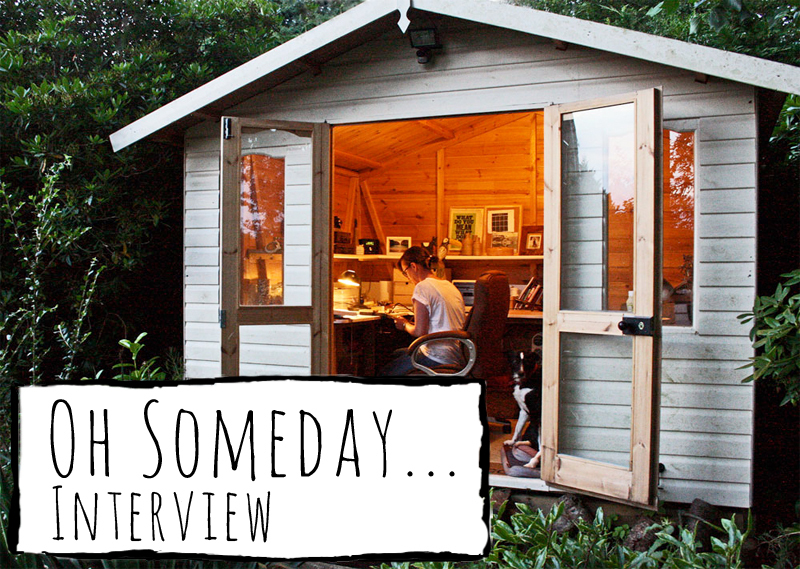 What advice can you give for someone wanting to set up their own jewellery business? I think my main advice would be to just go for it! You can spend too much time thinking about doing things rather than just giving it a go. Definitely educate yourself as much as you can, it’s a trade where you never stop learning whether it be on different jewellery making techniques and materials or on marketing. I would recommend joining a website like Etsy where it is relatively inexpensive and simple to set up a shop. There are great communities on there that can help you with every aspect of your business. Joining a local team (I’m a member of the Brighton Etsy Team) can be valuable as well and I’ve met some really lovely people through it too. Etsy has also given me the opportunity to reach customers all over the world, which I think is really exciting. 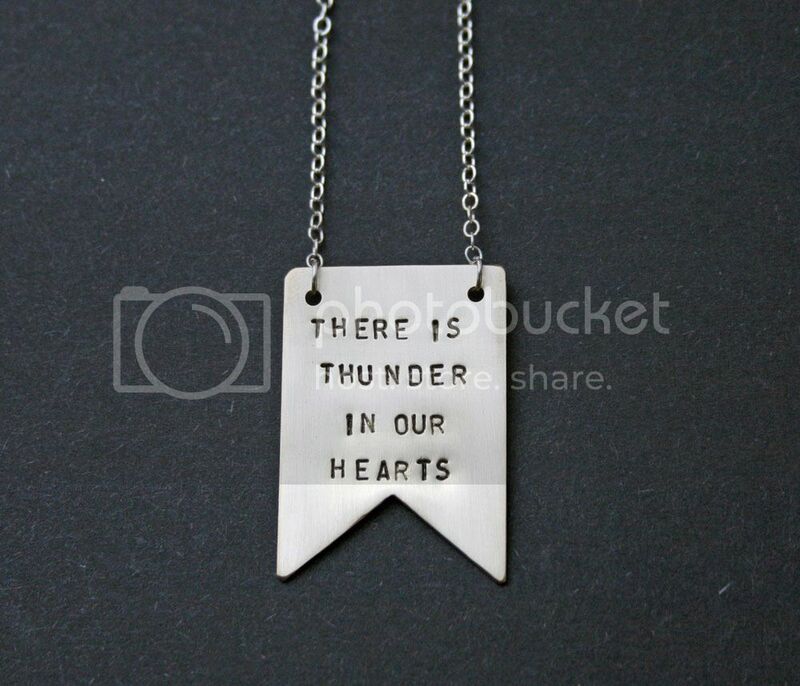 Oh Someday...'s jewellery is available for purchase on Etsy. You can also keep up to date with them on Facebook and Twitter, and they also have some lovely boards on Pinterest. I love those woven bracelets! 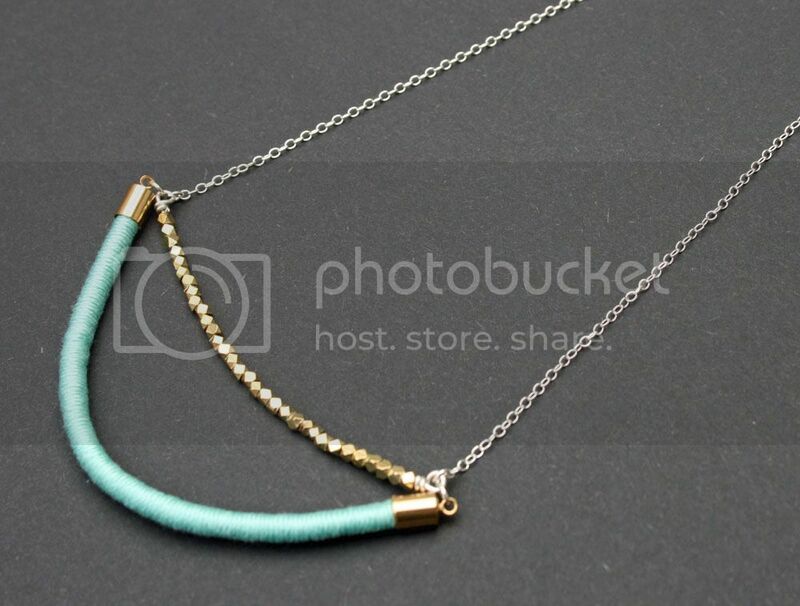 BEAUTIFUL necklaces and lovely blog! I always love seeing where people work, at this little shed is the sweetest! aww love it. 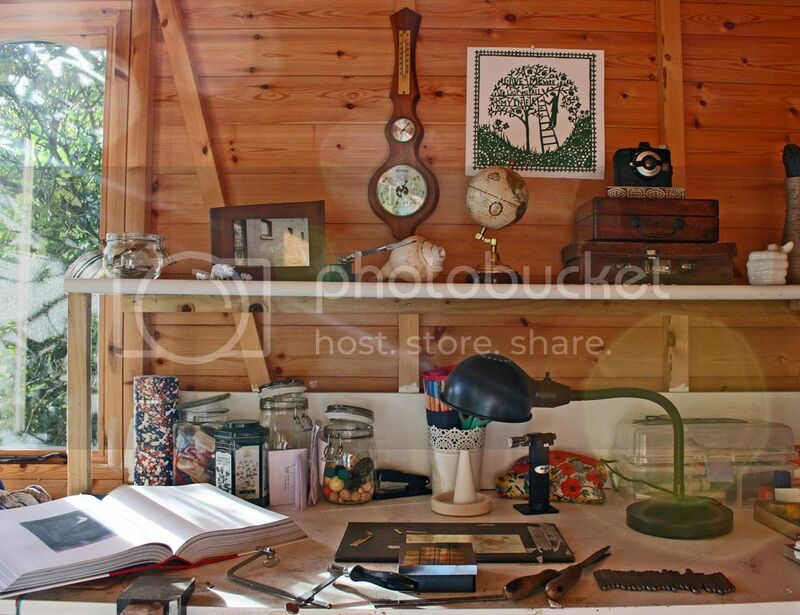 I also love the shed she has a workspace. So cute! What a great interview! I love her beautiful works of art! I will check out her collection! Lovely article, shedio in full glory! Oh Someday Autumn Winter Stock is at Green Brick (21 Queen's Road Brighton) check out all our makers, preloved and vintage stock for the season, you can follow us on twitter too!